I have been in contact twice with Terry Nathan, Executive Director of IBPA, Independent Book Publishers Association regarding the Getty Images Settlement Demand Letter. As a disclaimer, my publishing firm (Ascend Beyond Publishing) is a member of IBPA only because it cost the same amount for me to attend their 2008 Publishing University event earlier this year whether I became a member or not. And so, for the next 10+ months, I am a member of IBPA. Time will tell if I will renew my membership in 2009. Heck, they may not want to renew my membership after what I have to say about them in this post. Admittedly, I am a new member of IBPA and have not quite figured the culture of that association but I quickly figured out much of the membership are smaller publishing companies and self-published authors that are not very business or legal savvy. Many are quite vulnerable in my eyes. Because of this membership profile, I felt it was highly likely someone in its membership would one day receive a Getty Images Settlement Demand Letter like I did. Most people receiving this letter uninformed and unwarned, would be intimidated by this letter. I explained to Terry, both by email and by phone, why I thought the membership should be made aware of this. He said that the newsletter editor was not interested in the story. I am thinking to myself, whether you agree with me or not on my take on the Getty Images Settlement Demand Letter, that it would be worthwhile for the members to know about it. Who the hell wants to receive a legally threatening letter? If publishers and authors knew, more people would either be more careful about the images they use, the graphics they buy, the contractors they hire, and so forth. No one has to agree with my particular position to appreciate the fact that being loose with image usage can bring about a high price to pay either in time, money, and/or aggravation. After all, almost every publisher, large or small, hire either employees or independent contractors to create websites, book covers, graphics, page designs, etc. Almost all of them use images in some way, shape, or form. A lot of the publishing business is hiring independent contractors to help create and produce a product. One of the biggest reasons I am publicizing my own involvement with the case is to both educate and warn others. I also believe that getting publicity for your case helps in supporting and defending it. And yet, here is Getty Images, one of the largest providers of stock photos in the world runs an underground mail letter campaign to alleged copyright violators. A casual search of the subject, reveals a ton of information on the subject. And yet, IBPA didn’t think it was even worthwhile for a mention in their newsletter. Terry Nathan was pleasant and professional but was pandering to me. I told him if he thought it was unimportant or irrelevant to tell me directly. Don’t just be nice to me. The conversation was becoming painful as I listened to him try to say something that would appease me. But I am not stupid, a no is a no and it was a waste of time to talk anymore. I quickly figured out he is an administrator of a non-profit organization that really has no teeth. They are bottle-necked by their bylaws and committee. A casual search on Google reveals that my websites are among the dominating sites informing the public about the Getty Images Settlement Demand Letter. The traffic hits coming in are increasing and so are email submissions. My gripe is centered on Terry Nathan and IBPA, Independent Book Publishers Association. I told Terry that he didn’t have to do anything and I am not overly concerned about my own situation because I feel confident in my ability to defend my position. However, I told him don’t ever say that I wasn’t try to help the membership. And if a member in the near future runs into this situation, don’t every say that the IBPA did not have the opportunity to prevent getting a Getty Images Settlement Demand Letter. If you happen to be an IBPA member reading this, you should realize that they chose not to pass along the information I provided. I was even willing to be anonymous and let them take credit for reporting this story. But since they have chosen to turn a blind eye, I am using this blog, my online platform, to get the message out. Terry mentioned that maybe an article about copyrights would be helpful. I could not have strongly disagreed more. It is too generic and too broad. People want to know about real-life case studies and situations like I am involved with. If people choose to ignore the lessons that is their choice. However, I feel a duty to let people know and let people draw their own conclusions. 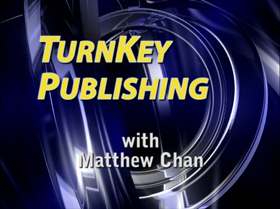 This is one example why I launched TurnKeyPublisher.com and this TurnKey Publishing Blog. I don’t need someone’s permission to let people know about what I know. I can provide the information directly to the readership. I don’t have to “make space” in some printed newsletter. The power of the Google search lets people find the information they need directly from the people who live it, not hope or pray that some writer or editor will write about it. People need to be informed. Not everything is roses out in the real world. I like talking about positive things but I won’t shy down from “negative topics” as well. Terry said he was personally interested in receiving more information from me. I believe he is only interested in the “soap opera” of it all, not passing the lessons to its members. As such, I see no point in hand-delivering any more information to him since he has no authority or willingness to share the information. Given this incident, my lone membership fee will not make or break them. But I will be watching more carefully what they do and how they do things and I will be reporting information if they don’t.